People who live near the Tihange nuclear power plant in Belgium’s Wallonia region have serious concerns about the safety of the station which has experienced several shutdowns in recent years. The station’s operator, Engie-Electrabe, found “instability” in the reinforced concrete ceiling of the reactor’s armored bunker during a planned check that started on March 30, the newspaper Soir reported on Thursday. According to the newspaper, company specialists also determined that the “anomalies” in the reinforced concrete had been there since the time the bunker was built. They fear that the defect may potentially weaken the structural strength of the unit. Soir said that the reactors of the Doel nuclear power plant in Flanders have not been affected as they have different architecture. Belgium's nuclear safety agency (AFCN) said that the Tihange reactor will not be restarted before the bunker has been pronounced safe. According to a preliminary estimate, this may not happen before September, the newspaper wrote. The Tihange plant is located just 60 kilometers (37 miles) from the country’s border with Germany and the Netherlands, while the Doel plant is located near the Belgian port city of Antwerp, next to the Dutch border. 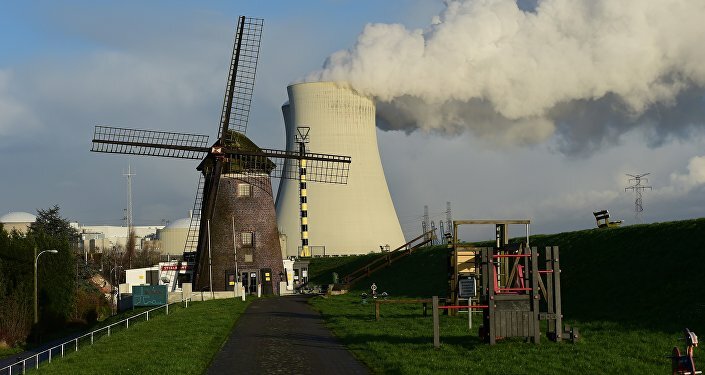 About half of Belgium's power is supplied by nuclear energy from the country's seven operating reactors, three at Tihange and four at Doel.